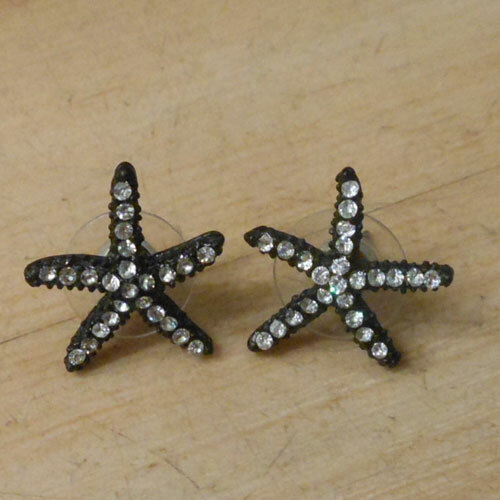 Black and Silver Rhinestone Starfish earrings are fun and sparkling! 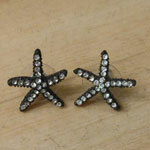 They are cute starfish stud earrings, sure to spice up any outfit! They have a black background, with clear, almost silvery rhinestones throughout. Perfect for the summertime or anytime! The posts are nickel free stainless steel, and they come with metal backs.